The coastal city of Lima is diverse, with colorful parks, friendly locals, tasty cuisine, vibrant markets, and ancient historical attractions. Travelers can tour world-class museums, wander through the colonial architecture of Miraflores, and eat seafood along the Pacific coast. 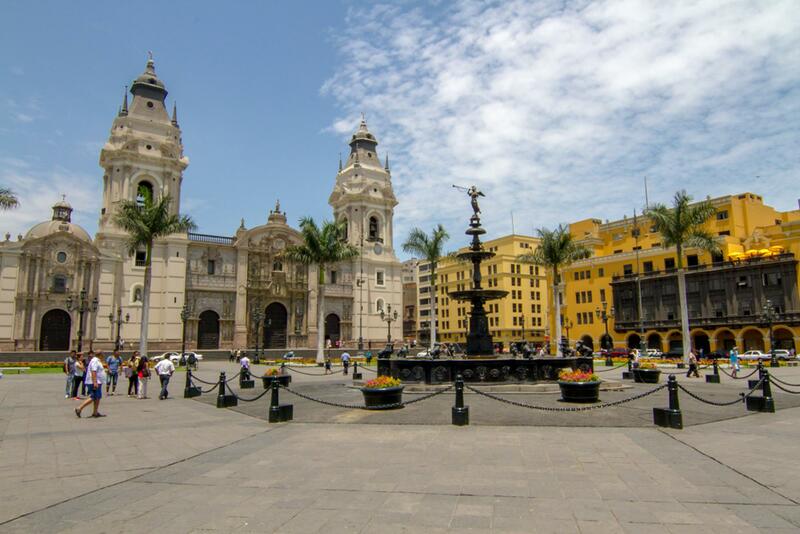 Lima's historic center has the famous Plaza de Armas as its center and there are countless museums nearby—the Larco Museum and the National Archaeological Museum are some of the best. The ancient site Huaca Pucllana is situated in the middle of Lima and offers proof of the Wari and Lima nomads living side-by-side. The city now has a cosmopolitan atmosphere, especially in districts like Miraflores and Barranco, which have become popular with both tourists and locals. Barranco is full of entertainment and nightlife, while San Isidro is known for its local market, friendly people and delicious seafood. The ocean that borders Lima brings joy to young and old alike in their search for refreshment and fun. Visitors that take a closer look soon discover that Lima isn't just a gateway to Peru, but rather an extremely interesting destination unto itself. Francisco Pizarro founded Lima on January 6th, 1535, which today is celebrated as the "Day of the Kings." Lima became the headquarters for the Spanish conquistadors—it was the seat of power, government, politics, and culture. The port of Callao became the hotspot for trade and commerce. And Lima's fertile plains, irrigated by the Rimac River, were perfect for agriculture. Typical products from this area were (and still are) cotton, corn, potatoes, fish, fruits, sugar cane, and vegetables. After years of trade Lima grew to be one of the biggest commercial and administrative centers of South America. Lima continued to prosper over the 19th century, but had some downtime between 1980 and 1990. During this time Peru's political and economical instability dragged the beautiful city into poverty. Luckily, the new century ushered in a new beginning for Lima. Today, the city's wide streets, huge plazas and colonial houses still show signs of the 19th century. 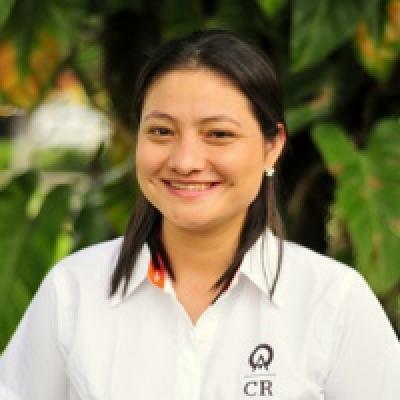 Many of the Peruvian people living and working in Lima originally came from rural areas. The city's population is currently around 10 million inhabitants and is still growing. Limeños are a complex mixture of racial and ethnic groups. Mestizos of mixed Amerindian and European ancestry are the largest ethnic group, and European Peruvians are the second largest group. Other large ethnic groups in Lima include the Chinese and Japanese. The influx of Chinese workers in the 19th and 20th centuries resulted in Lima having the largest Chinese population in all of South America. "We were close enough to the mall and walked there and were surprised to see so many shops and people enjoying the beautiful afternoon. We ate at a very good restaurant and watched the sunset. Stunning. Beautiful shoreline and the lights of the area was breathtaking. Our food was excellent and we enjoyed our walk back to the hotel. " We were close enough to the mall and walked there and were surprised to see so many shops and people enjoying the beautiful afternoon. We ate at a very good restaurant and watched the sunset. Stunning. Beautiful shoreline and the lights of the area was breathtaking. Our food was excellent and we enjoyed our walk back to the hotel. It was an amazing trip!! We had no worries because of your travel service and it was a perfect week! I would happily recommend this to my family and friends. Muchas Gracias!!! Wonderful trip. All the representatives and guides were so considerate, helpful and outstanding. Helped us through so many areas we might have difficulties on our own. Excellent guides as well at each tour. Tina, Jimmy, and Ronaldo particularly great in Cusco. The group tour in Lima should be skipped. Edwardo was a fantastic tour guide. So enjoyed the city tour. Sara was great. Joel did a wonderful job in our brief tour explaining Lima and all of our drivers did a good job.